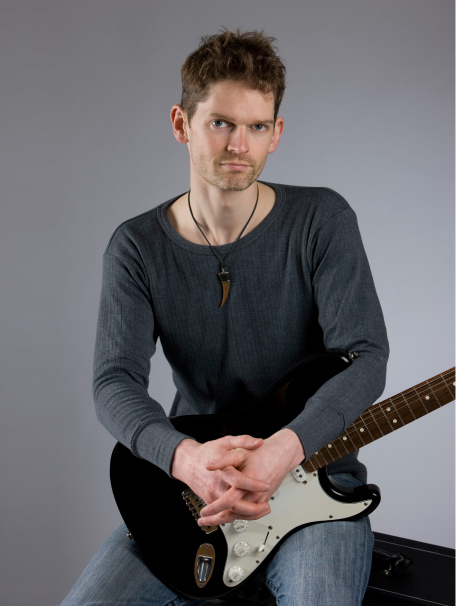 Stuart Bahn teaches guitar lessons in Ealing, west London. Stuart has 20 years experience as a professional guitar teacher in west London, and has taught many hundreds of guitarists. Whatever your level, you can book a guitar lesson with Stuart today. Stuart caters for all levels of ability and provides extensive notes and material for you to practise at home. 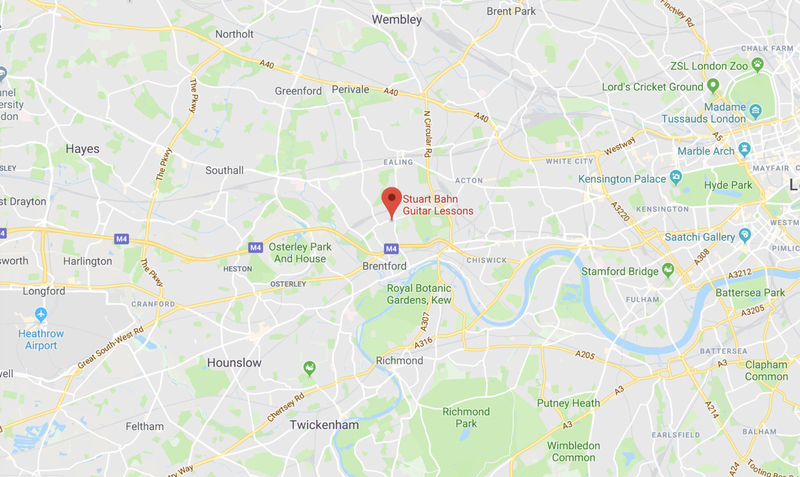 Your guitar lessons with Stuart take place at his home in west London. 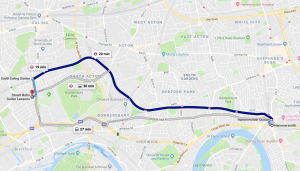 There are several good public transport options and good road connections including the North Circular (A406), the A4 and M4. 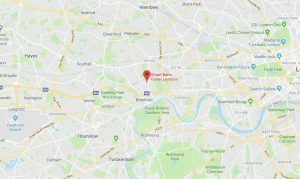 If you are driving to your guitar lessons from west London, the main routes are via the A4 or M4 from Hammersmith in the east, or from Hounslow in the west. From the north the A406 (North Circular) is the main route, or from the south you can take the A205 (South Circular). In each case you should head roughly towards Chiswick Roundabout. From there it’s just a short drive to Chandos Avenue. If you’re using Google Maps or SatNav to get to your guitar lesson, use the postcode W5 4EP. Fix your guitar lesson time to fall outside of that time period. Park on South Road, which is just a short walk from Chandos Avenue. On Saturdays there are no parking restrictions. South Road is shown in the map below. There are several bus services that you can take to your guitar lessons. The buses that will drop you nearest to Chandos Avenue are: the E2, E3, 65 or H91. The E2 comes from Brentford in the south and Greenford in the north. 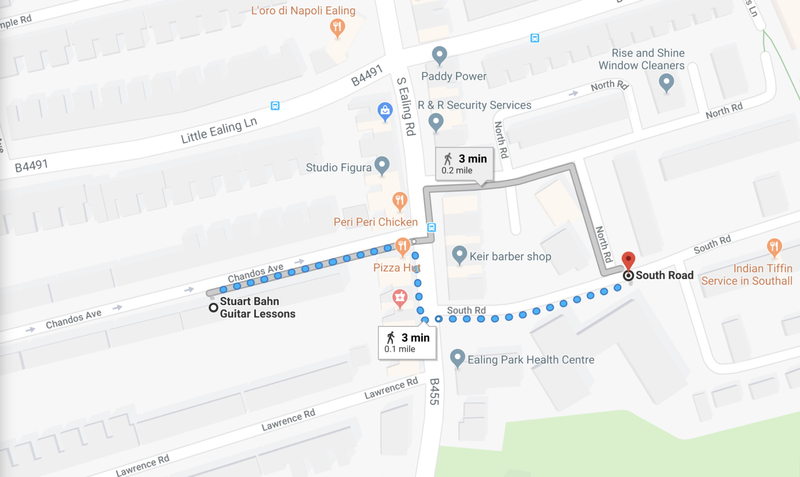 The nearest stop to your guitar lesson is Julien Road (stop C) which is near Northfields Station. The E3 comes from Chiswick, from the Town Hall via Chiswick High Road and stops at Popes Lane. From here it’s a short walk to your guitar lesson. The 65 comes from Ealing Broadway in the north and Richmond in the south. The stop nearest to your guitar lesson is Chandos Avenue (stop E). The H91 comes to South Ealing from Hammersmith in the east and Hounslow in the west. 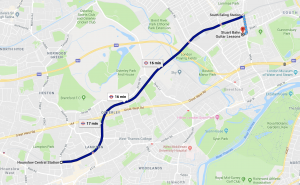 Whichever direction you are travelling from, alight at the A4 junction with Ealing Road. From here it’s a 10-minute walk north to Chandos Avenue where your guitar lessons take place. 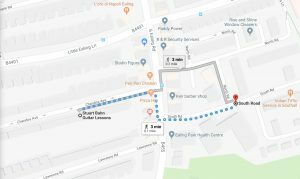 To get to your guitar lessons from the Hammersmith area by tube, you should take the Piccadilly Line directly to South Ealing Station. From here it’s just a short walk to Chandos Avenue, where your guitar lessons will take place. 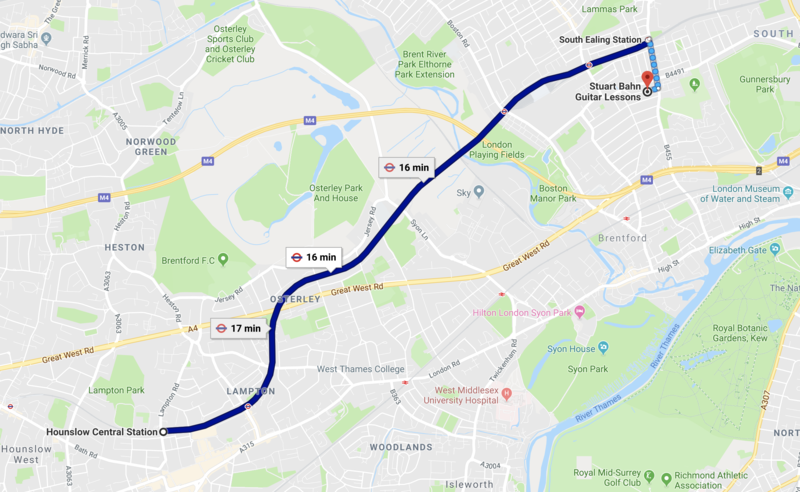 To get to your guitar lessons from the Hounslow area, you can also take the Piccadilly Line directly to South Ealing. 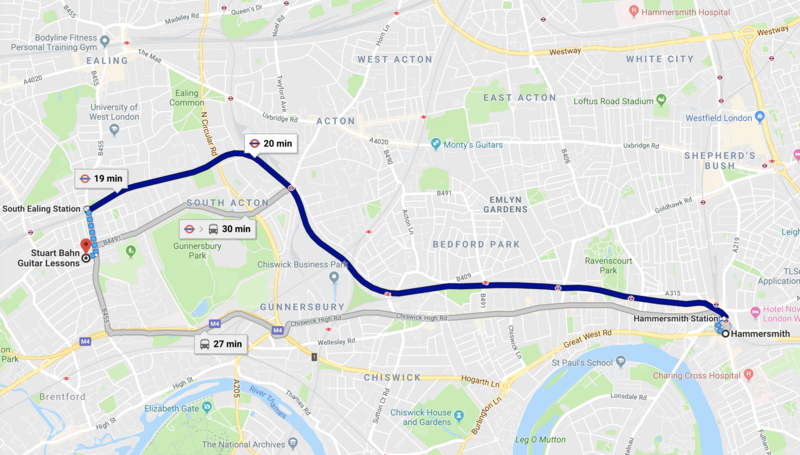 If you are travelling to your guitar lesson along the Uxbridge branch of the Piccadilly Line, you’ll need to change trains at Acton Town. From here, take the Heathrow branch west, one stop, to South Ealing.